What a great day at the “office”!!! How lucky can one entrepreneur get? Let’s start off with Ari Zoldan as a master moderator (and snappy dresser), add Raoul Davis with his business experience and eloquence, top off with Jack McAdoo’s energy and knowledge about building and maintaining an audience. Our conversation was wide-ranging, covering leadership, career, strategy, the importance of matching your “presentation” (all aspects) to the situation, business building and of course brand building. 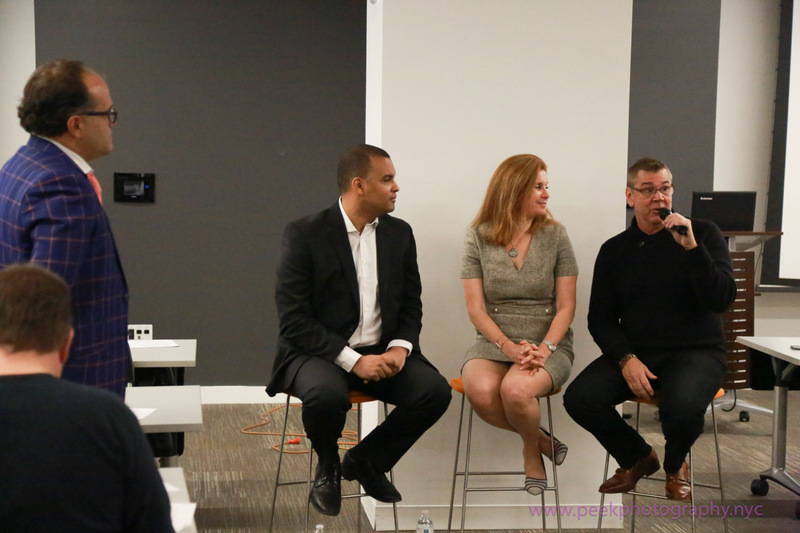 I felt energized from speaking on the panel and from the people in the room – folks at all stages of their careers. A special shout out to the students from visiting from India from whom we learned so much – and either made us feel very young or very old. So I would have called it a great day after that. 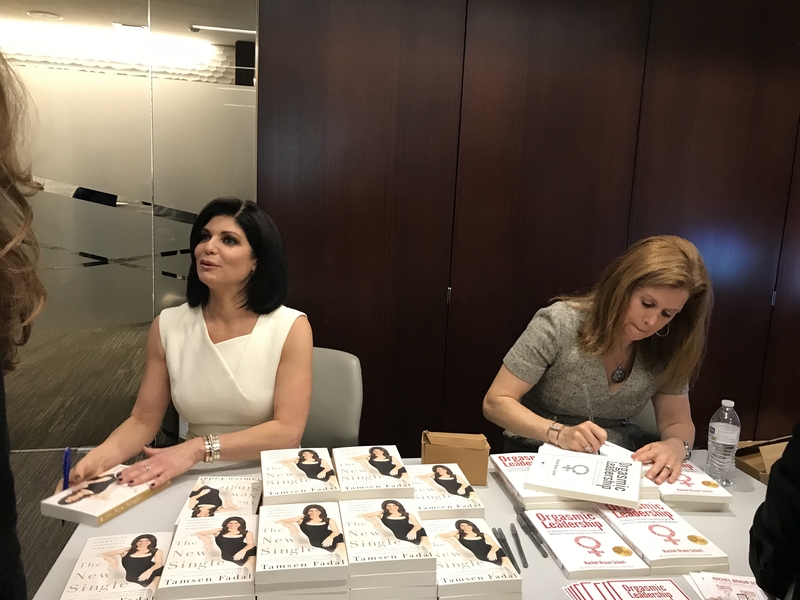 But then I had the honor of conducting an in-depth interview where in speaking with the amazing Tamsen Fadal, a person who is at least a quadruple threat as a TV anchor, producer, author, speaker, and Emmy award winner (and a person I am honored to call a friend). 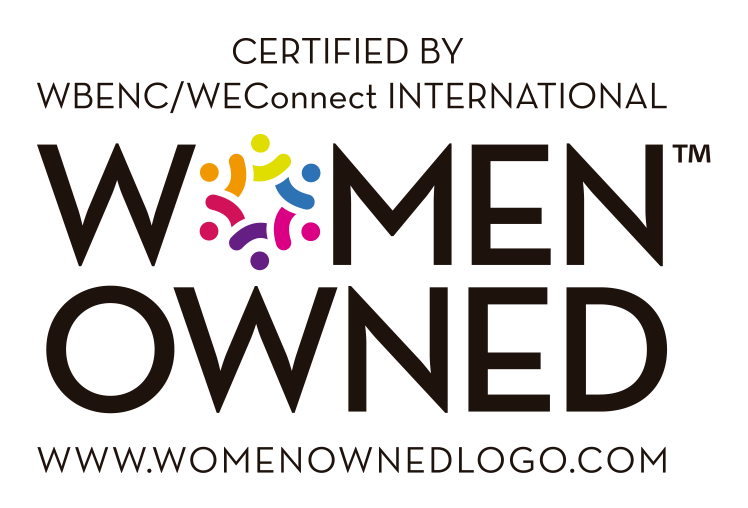 we covered women’s entrepreneurship from head to toe. Tamsen spoke about the experiences that informed her new book, The New Single, and the experiences that gave rise to it. We shared experiences about professional relationships, goals, branding, taking u-turns – all of the other challenges and successes that many people face as they build their personal and professional lives. 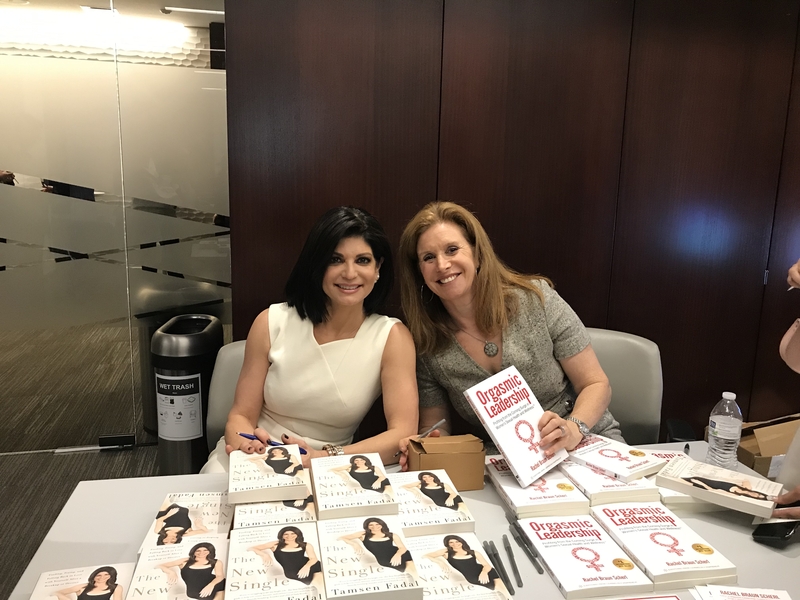 And then the highlight, the joint book signing of The New Single and my book, Orgasmic Leadership: Profiting from the Coming Surge of Women’s Sexual Health and Wellness. From this experience and my many other talks, I have found that as a speaker you can throw me anywhere and I am thrilled to support! If you or someone you know needs a speaker on female entrepreneurship or someone who can handle speaking to female celebs (please no problem here), check out my upcoming engagements or contact me to discuss.